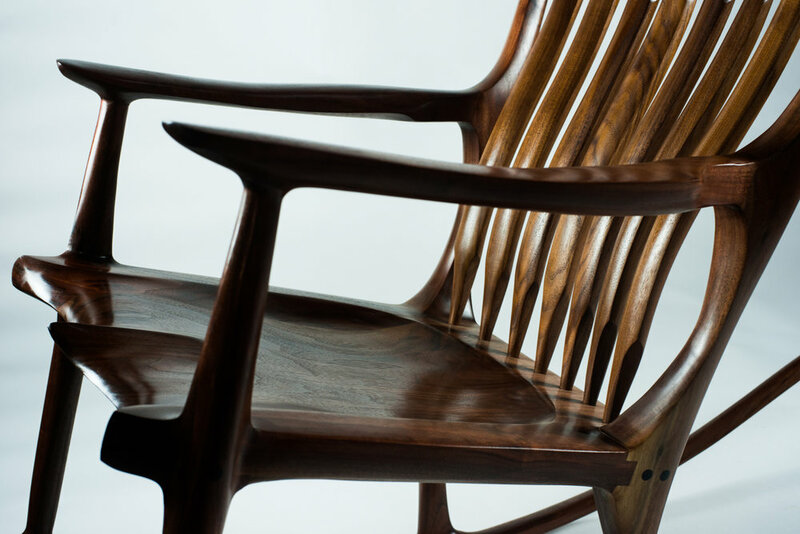 Each chair we craft is custom made for the client. We design and build using only premium materials and maintain a very high quality standard. We will provide a delivery date estimate at the time an order is placed. Occasionally we make chairs that go into inventory and are available on a first come first served basis. Please contact us for more details, including images, as to what is available in our inventory. If you are located in New England we will gladly deliver for a small fee of $100. Outside of New England shipping varies from $300 - $600 depending on location and size. For international customers additional shipping costs will be determined at time of order. We offer a lifetime guarantee on all pieces we build, which covers any defect in craftsmanship and material.